The Bloomberg news service just filed an interesting dispatch (see below), important because Bloomberg is a mainstream source with higher credibility and less disinformation than the WSJ, WaPo or NYtimes, or the rest of the corporate media, including the cable harpies and Big Four tv networks. The video was presented by Information Minister Jorge Rodriguez at a press conference in Caracas. Rodriguez said Garcia had ties to opposition politicians and intended to rally soldiers to mutiny, close off the capital, and overtake the presidential palace. 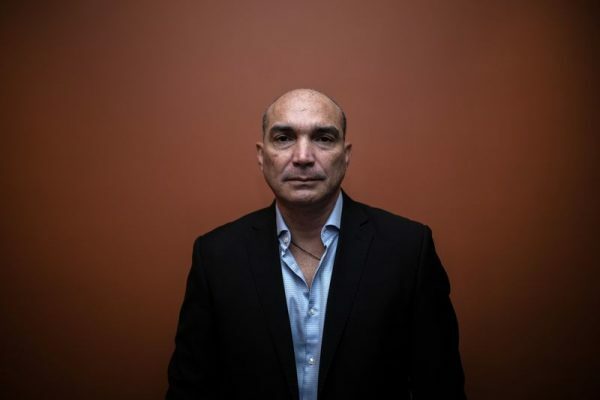 Alonso Medina, Garcia’s lawyer, said in a telephone interview that Garcia showed signs of torture including bruises on his abdomen, cuts on his legs, and burns on his wrists. “He also told me they injected some unknown substance into his hands,’’ Medina said. In December, Garcia gave an interview to Bloomberg about his group’s attempt to overthrow the government. After his capture last month, Luis Almagro, the secretary general of the Organization of American States, condemned the arrest and demanded his safety and freedom. The retired colonel was among scores of officers and special-forces troops across all four branches of the Venezuelan armed forces who launched one of the most serious failed coups last year, known as Operation Constitution. The plan was infiltrated and dozens of his fellow plotters were arrested and tortured; he escaped and continued to agitate. Garcia’s capture is a sign that, despite the growing support for Guaido to replace Maduro — whose May re-election was widely condemned as rigged — the government remains in charge of key elements of the military apparatus. This is the video released by the Venezuelan government, presidential office. It is in Spanish. La CIA estructuró un equipo de militares para realizar una operación contra la Base Aerea La Carlota y las comunicaciones de la Gran Caracas. Aquí el video con la confesión de CNEL (R) Oswaldo Valentín Garcia Palomo tras ser capturado por las autoridades venezolanas. The CIA put together a military team to perform an operation against the airbase La Carlota and the communications of the Greater Caracas metro area. Here is the video with the confession of Colonel (Ret.) Oswaldo Valentin Garcia Palomo after being captured by the Venezuelan authorities.